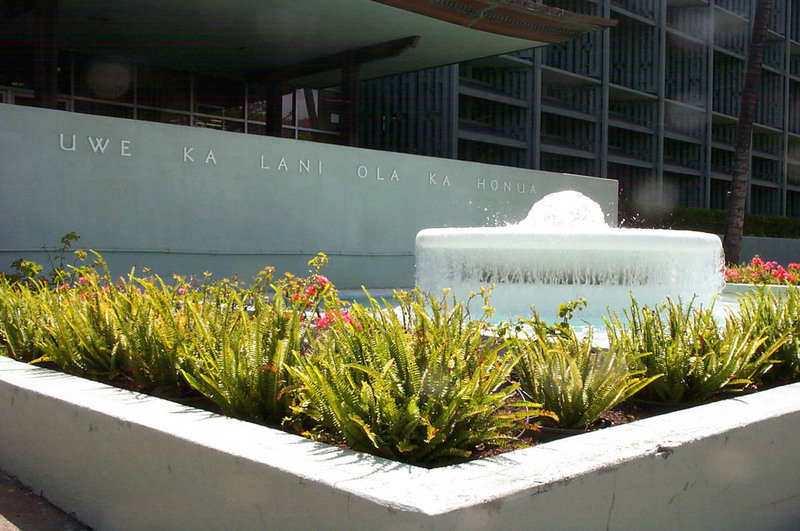 An old Hawaiian proverb by Henry Ohumukini, Sr. at the fountain in front of the Board of Water Supply (BWS) building at 630 South Beretania Street in Honolulu. The Board of Water Supply (BWS) manages Oahu's municipal water resources and distribution system. 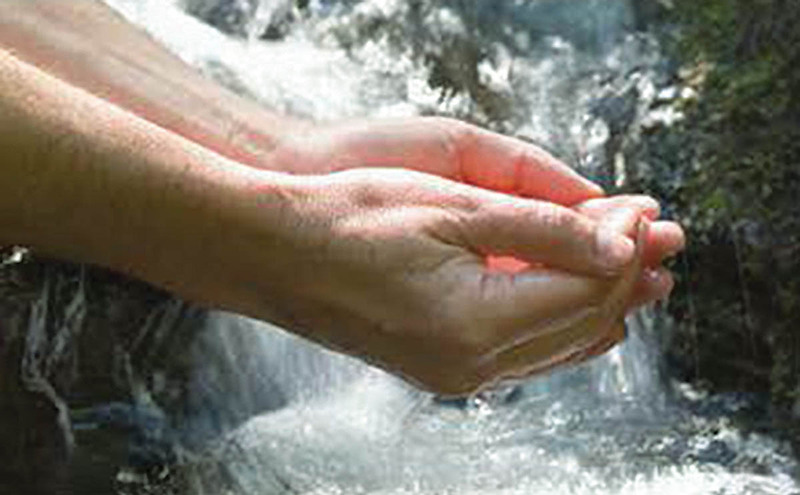 The BWS provides residents with safe and dependable water service at a reasonable cost. Monies collected from water sales finance its operations and projects. As a semi-autonomous agency, the BWS is governed by a seven-member Board of Directors. Five members are appointed by the Mayor and approved by the City Council. The remaining two directors are the Director of the Hawaii State Department of Transportation (DOT) and the Chief Engineer of the City Department of Facility Maintenance (DFM). "Uwe ka lani ola ka honua"